I don’t remember Disco 45 – but I think I was more into Krazy comic back then…. 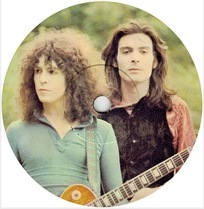 I think that Jeepster was the second record I bought, from Baldrey’s Pianos in North Cheam; they did a sideline in singles. 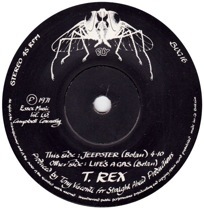 Luckily I still have my Disco 45 T. Rex Special! When I get to the UK I would like to come over and hang out in the record room if you don’t mind. Electric Warrior – that’s the one for me! 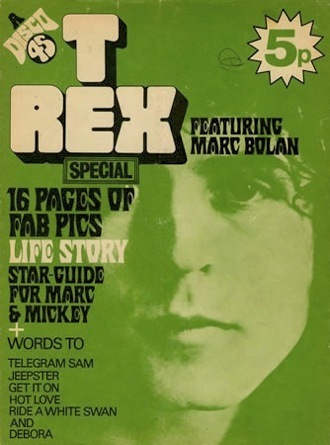 Have you read Marc Bolan’s bio by Lesley Ann Jones btw? @Peter T: You’ve still got it?! Jealous!! @Michele: OK, but you have to put some a couple of racks into alphabetical order while you’re in there. 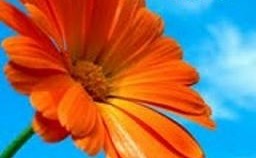 @Peter C: Not read the Lesley Ann Jones book yet – but it’s on my list! my first record was gary glitter – do you wanna touch. i used to get all his stuff – and yes i still own them too – for some reason noone will take em off my hands…. oh-p.s. and off-topic, but I sat my friend down and read him the entire first chapter of my fave book. It was a big hit. The kids in America love you! @Stu: I still have some old Gary Glitter singles too. Feels a bit weird admitting that.